The Randolph County Training School was a foundation for the African American community and its children for 51 years. Located on US Highway 431 just outside the city limits of Roanoke, Alabama, it was one of the area’s most important educational institutions. Prime centrally located land for the school was purchased from the Roanoke Guano Company between 1917 and 1918. 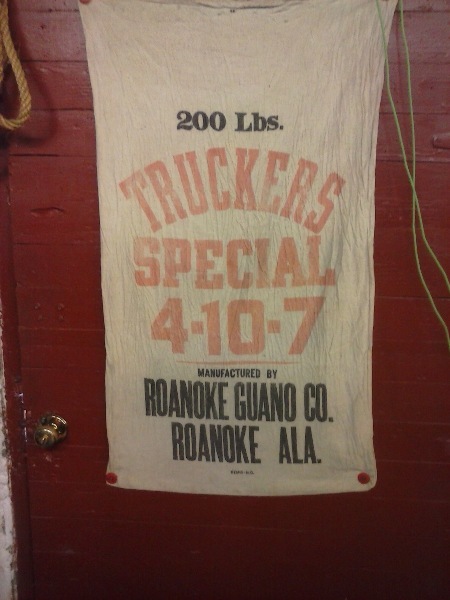 A bag used by the company to sell its Guano (mined bird or bat droppings) is shown below. Photo: courtesy of Jerry Parmer. The school was chartered as a state institution on September 15, 1919 and opened in a two-story wood framed building at the start of the 1920-21 school year. The school opened as a segregated school for African American children approximately one hundred years after Alabama was admitted to the Union on December 12, 1819. After producing generations of productive graduates, it was closed in the spring of 1970 pursuant to a federal district court order, which mandated that the county and city system of dual public education, notwithstanding “freedom of choice” and other tactics, was a violation of the Equal Protection Clause of the Fourteenth Amendment. During the 51 years of RCTS’ existence, several cohorts of teachers and staff served the school and left to assume important positions at other secondary schools and colleges and universities. Unfortunately, very few of the school’s official records and memorabilia were preserved. Former teachers and students recall that after the school was closed pursuant to a federal court order, itwas left open to the public without supervision and individuals were allowed to take documents and equipment from the school. Also, they recalled that many of the school’s records were burned at the rear of the building during the summer of1970. Of course, the County andState Boards of Education should have maintained the school’s records, beyond individual student transcripts, for historical purposes and as part of the public record. The refusal to do so was probably a reflection of the low regard they had for African American history and institutions that had served the educational needs of Black children during the period of segregation. Fortunately, the transcripts of many individual students are maintained in Wedowee, Alabama at the County Board of Education. Notwithstanding official neglect of the history of the county’s largest and most significant public high school for African American students, many of its graduates have worked hard to keep the tradition and legacy of the school alive through biennial all-school reunions and individual class reunions. Fortunately, many also preserved pictures, newspaper articles and other materials about the school from which its history could be written. The glorious history of the RCTS spanned 51 years. It's rich heritage will forever be carried forth by its students and their descendants. Long Live the Mighty Bulldogs! The original RCTS building was built in 1919 while the school building program was being funded in part by the Rosenwald Fund. 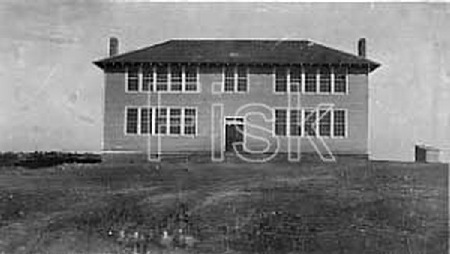 The school building program was headed by Mrs. Booker T. Washington, wife of Dr. Booker T. Washington, president of Tuskegee Institute. Architects at Tuskegee drew up the plans for the school. 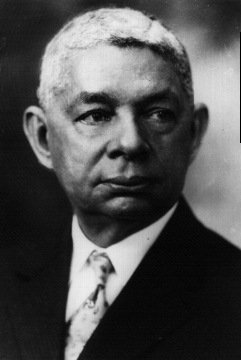 Robert Robinson Taylor, the first African-American to graduate from the Massachusetts Institute of Technology (MIT), head of the Tuskegee Institute School of Architecture, founder of the School of Architecture at Howard Univ., and great-grandfather of Valerie Jarrett, drew up the plans for the original RCTS school building. Jarrett served as Senior Advisor to the President of the United States and Assistant to the President for Public Engagement and Intergovernmental Affairs in the Obama administration. The small building to the right side of the school is most likely one of the outdoor toilets used by the students and staff. The Original RCTS building was built in 1919 and opened in 1920. Photo courtesy Fisk University. Several prominent people have been speakers at RCTS, including Dr. George Washington Carver, head of the Chemistry Dept. at Tuskegee, recognized worldwide as the leading researcher on peanuts, sweet potatoes, and soybeans. In 1935 Dr. Carver spoke to RCTS students at the school. A.G. Gaston, a multi-millionaire businessman whose holdings in Birmingham, AL included a hotel, business school, pharmacy, funeral home, and other commercial assets, spoke during Career Day at RCTS in 1962. He was a financial backer of the Civil Rights Movement, often providing money to pay the bail money for people arrested, including Dr. Martin Luther King, Jr.
Another notable individual who undoubtedly played a role in the establishment of RCTS was Randolph County native William Holtzclaw. 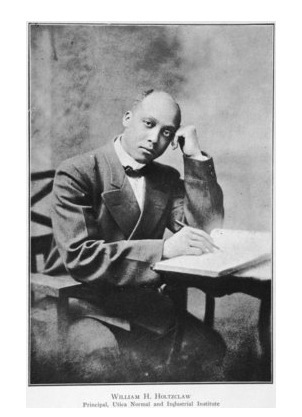 Holtzclaw was the first Black Randolph County native college graduate, graduating from Tuskegee Institute in 1896. While studying at Tuskegee, he honed his leadership skills while working as an assistant to Dr. Booker T. Washington. Washington noticed Holtzclaw's leadership potential and served as his mentor during his stay at Tuskegee. Holtzclaw was offered a teaching position at Tuskegee upon graduation, but turned it down because of his desire to establish a school based on the Tuskegee model. After a number of attempts, he finally established Utica Normal and Industrial Institute in Utica, Mississippi in 1903. The school was the forerunner to Hinds County Community College, the largest community college today in Mississippi. It is believed Holtzclaw convinced Booker T. Washington to build several schools in Randolph County Alabama, including R.C.T.S. because of his connection to Randolph County. Read Holtzclaw's story in a re-print article from the Randolph Leader Newspaper. Holtzclaw wrote a book detailing his early childhood growing up in Randolph County, his education at Tuskegee Institute, and his efforts to establish Utica Institute in Mississippi. Read about his extraordinary life's journey by clicking here. The 1949 RCTS Main Building on the left, the Gymnasium, and the Elementary School Annex shown in a photo taken in the 1990s. The buildings had been converted to factory buildings owned by the Terry Manufacturing Co. The Main Building later burned. 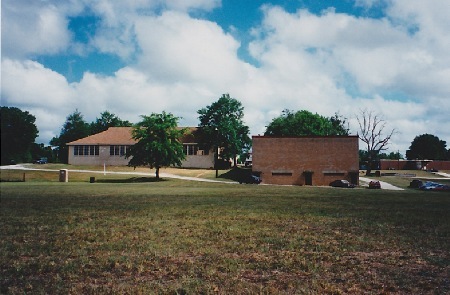 The Gymnasium and the Elementary School Annex still stand.